Each month has a unique birthstone attributed to it, so not only do you have a star sign but also a precious stone that represents you. 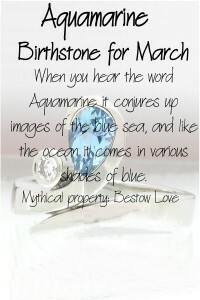 The only question is, which birthstone are you or your partner? Here are some articles giving details of each stone with pictures of jewellery we have made incorporating the different types of stone. 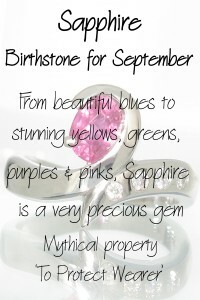 We can make a beautiful piece of jewellery with your birthstone as a very special gift. Call in or email to discuss your own special project. The varied and interesting colours include greens, oranges, browns, pinks and purples. In total there are 33 different types of Garnet all varying in colour and hue, from the radiant reds and oranges of ‘Spessartine’ Garnet to the greens of ‘Tsavorite’ Garnet. Garnet ranks 7 to 7.5 on the Mohs scale of hardness meaning it is a reasonably hard stone. Garnets are known for their luminosity. A note of caution; Garnets can be vulnerable to knocks and heat. Care must be taken not to knock your Garnet against anything too hard otherwise it could break. Used by Noah as the inner fire of the lantern on the bow of the ark to help him steer through the night. Garnet has played many roles in history and myth. Garnet has been a talisman for travellers to protect them from danger, evil and disaster, lighting their way on their travels. Amethyst is the most valuable form of quartz and is found in various shades of purple, ranging from pale lilac to a deep purple. It can possess a reddish and milky purple quality in its shade. The name Amethyst coming from the Greek word ‘amethystos’ meaning ‘not drunken’, and indicates one of Amethysts supposed properties. 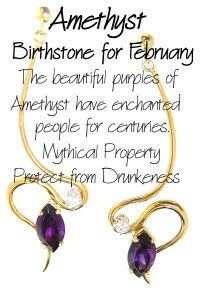 Wearing Amethyst is supposed to prevent the wearer from intoxication. Amethyst is also supposed to encourage celibacy and symbolise piety, hence many Catholic bishops and even popes have worn Amethyst rings to show these two virtues. It is also a sacred stone for Buddhists who believe that Buddha regarded amethyst as a sacred stone. Leonardo Da Vinci believed that amethysts were able to quicken intelligence and dispel evil thoughts from its wearer. When you hear the word Aquamarine it conjures up images of the blue sea, and like the ocean it comes in various shades of blue. From a very pale pastel though to a greenish blue and range from very clear to ‘cloudy’ in appearance. Size can also play a factor, the larger the stone the more intense the colour, smaller stones tend to be less vivid. Rating 7.5-8 on the Mohs scale, means Aquamarine is a reasonably hard stone. Aquamarines capture the beauty of the ocean and because of this the god of the sea, Neptune gave it as a gift to his mermaids. Aquamarine has several different properties that it is supposed to bestow upon the wearer, such as keeping sailors safe at sea. It is also said to bestow love upon its owner and act as a calming influence on married couples, which has made it an ideal anniversary present. With Diamonds you immediately tend to picture a sparkling translucent stone. This is generally the case, though Diamonds can come in a variety of natural ‘fancy’ colours, such as pink, blue, yellow, green, brown and orange, but these are extremely rare. Treated Diamonds, which exhibit similar colours to the rare natural ‘fancies’, are also available. However, it is worth noting that there have been problems with colour stability. Measuring 10 on the Mohs scale, Diamond is not only the hardest gemstone it is also one of the hardest substances known to man. In fact Diamonds are so hard that when they are cut as gemstones, other Diamonds have to be used to grind the facets! Diamonds have been coveted and revered throughout human history. The ancient Greeks believed that Diamonds were splinters from fallen stars; other ancient cultures saw Diamonds as being the tears of God. In medieval times Diamonds were only worn by Kings; they wore them as a symbol of their strength courage and invincibility. It was also thought that if a Diamond were strapped to your left arm, you would defeat your enemy no matter how large their number. Today Diamonds are used to symbolise eternity and love hence their use in many engagement rings. When buying a Diamond it is very important to take into account the ‘4C’s’- Cut, Colour, Clarity and Carat Weight. These four criteria determine the price of a Diamond. The better it ranks across these four areas the higher the value. Just because the Diamond is large does not mean it is valuable, if it is a poor colour with a lot of inclusions, it may have a lower value than a significantly smaller stone with high colour and clarity ratings. Cut also plays a major factor in a stone’s appearance. A poorly cut Diamond can mean that the stone’s natural beauty and brilliance is not fully realised. Having a certificated Diamond is a great way of knowing how your stone ranks within the grading tables of the ‘4 C’s’. Emeralds, like the colours of the rain forests of Brazil and Columbia and the tropical forests of Zambia where it is mined, it exhibits a deep green colour. Most natural Emeralds contain inclusions called ‘jardin’ or gardens, which are regarded as Emeralds birthmarks. Emeralds are hard gemstones, however because of its many fissures it is very brittle. This makes cutting, setting and cleaning the stone rather more difficult than other stones. Great care must be taken when cleaning Emerald jewellery. It should never be ultrasonically cleaned, as this can damage or even crack the stone. Also when washing your hands in water that contains a detergent, it is important to remove Emerald rings, as this can damage the stone. The beautiful green colour of Emeralds has always made it a gemstone of great value throughout the centuries. Prized by the ancient Egyptians, Incas and Aztecs, Emerald has had many mythical properties attributed to it. According to Indian scriptures Emeralds are supposed to enhance well being and promise good luck. 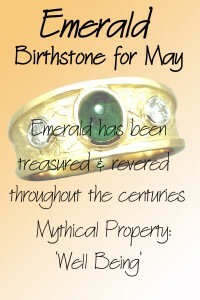 Emerald is also believed to give the owner a foresight into the future and symbolises rebirth and youth. Pearls come in a variety of colours from white, pale cream, green, gold through to black and many colours and shades in between. Moonstone is found as an almost transparent stone through milky white to a fine intense blue sheen. Moonstone also has ‘adularescence’ properties, when stone is moved it shimmers. Pearl, due to its make up, is quite a soft item and is quite susceptible to damage. Due to their organic nature, pearls are vulnerable to damage from chemicals and acidic substances. 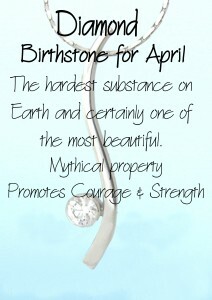 Moonstone is quite a soft stone and only rates a 6 on the Moh’s scale. This means moonstones can be easily damaged. 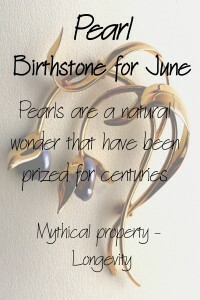 Pearl throughout time has been regarded as a very mythical and mysterious object. Pearls have for eternity symbolised modesty and purity, they also have had the abilities to improve memory and solidifying friendships attributed to them. In Ancient China it was also believed that pearls would increase the longevity of its wearer. Pearls have even been used as a medicine. In Persia they were ground down and used to cure insanity. Moonstone has had many different powers and attributes credited to it dependent upon culture. In India it was believed moonstone could give you beautiful visions at night, whereas in many Arab countries it symbolised fertility, meaning many women would have a moonstone sewn under their clothing. It is also said that moonstone enhances your intuition and ability to understand. Ruby is known as a gem of passion and desire and this is due to the beautiful red colour it possess. It can be found in various shades of red from relatively pale to ‘blood’ red. Rating 9 on the Mohs scale Ruby is the second hardest gemstone after Diamond. 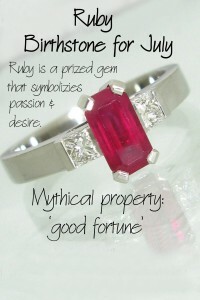 Ruby displays a wonderful silky shine that is distinctive to this stone. blood signifying warmth and life. Rating 6.5 – 7 on the Mohs scale, Peridot is not the hardest of stones. Peridot has had many mythical properties attributed to it. Peridot is supposed to ward of evil if set into gold, which many explain why the stone was commonly used on treasures and shrines in medieval churches around Europe. 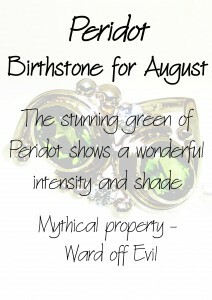 Peridot was also believed to protect is wearer from nightmares and terrors of the night. It was also supposed to improve hearing and make even the faintest sounds audible, this made the stone popular for use in earrings! Sapphire is famous for its wonderfully striking and beautiful blues, however Sapphire is also found in other colours including yellow, orange, purples, bluish greens, lavender and pinks; however here lies a dilemma. Sapphire and Ruby is in fact the same mineral. This leaves some of the pinks in a no mans land of classification. Should they be classed as Rubies or Sapphires? Dependent upon the shade of the stone, they can be classified as pink Sapphire or pink Ruby. Sapphire, like its sister stone ruby, also can be found with a star effect; a star (in the form of crossed lines radiating out) can be seen which ‘moves’ around the stone. Rating 9 on the Mohs scale (with it’s sister stone Ruby) Sapphire is the second hardest gemstone after Diamond. Sapphires display a wonderful silky shine that is distinctive to this family of stones. Sapphires traditionally have signified trust and loyalty meaning it has always been a popular stone to set into engagement rings. In legend and history Sapphires have also had even more mystical powers attributed to them. It is said that the wearer of a Sapphire will be protected from poisons and evil spirits. 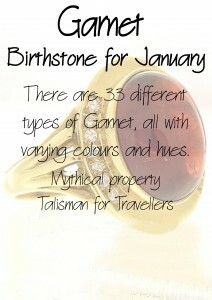 Both the birthstones for this month feature vibrant and exciting colours and patterns. Opals come in a wide and varying array of colours, sometimes solid and other times the stone is multi coloured or flecked with colour. When thinking of Opal many people will think of a pale stone with flecks of colour across it, however there are many more interesting and varied types than this. Opal can be found in opaque colours from white through to black with all containing a varied amount of flecking and colour play. Fire opals are a translucent, vibrant orange in colour. Like Opal, Tourmaline is also a very unique stone for the fact that it too comes in a varied array of wonderful colours, and can be bi- or tri-coloured in the same stone.. Tourmalines can be found in most colours ranging from the almost clear through to black. Opal measures 5.5 to 6 on the Mohs scale meaning they are not particularly hard, which is the reason why many opals are set in a protective setting. Opals contain water (between 2 and 6%) and can dry out and become brittle. Tourmaline measures 7 to 7.5 on the Mohs scale so is reasonably. However, Tourmalines have basal cleavage, so with bigger and thinner stones care must be taken not to subject the stone to hard knocks and bangs. Opal has symbolised hope, innocence and purity in the past, but it is also regarded as unlucky by some due to its association with the Black Death and also its supposed ability to bring about change. 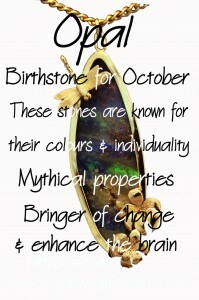 The Opal is also supposedly able to take on the metaphysical properties of other stones dependent upon the colours it exhibited. Tourmaline has good electrical conductivity making them popular therapeutic stones. Because of this conductivity they are said to have an invigorating and fortifying effect, it is also believed to help balance both sides of the brain. 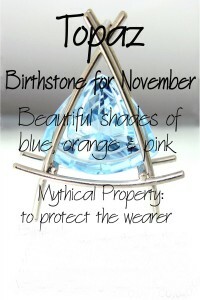 Like the natural shades of November, Topaz comes in many warm and beautiful colours. Brown, red, orange and sherry yellow are the most Autumnal of Topaz’s hues, however they can also be found in other colours such as blue and pale pink. The most valuable colour of topaz is called ‘Precious’ Topaz, which is orange in colour with pink undertones. Blue topaz is the most common form found in jewellery today however it is the most rare colour found naturally. The most common form of Topaz found is colourless. Topaz is a hard gemstone rating eight on the Mohs scale of hardness (10 being the hardest). However care must be taken with it as a single blow across the cleave line can split it in two (a trait shared with Diamonds). The topaz has had many magical properties attributed to it over the centuries. The ancient Egyptians believed it was coloured by the glow of the sun god Ra who had bestowed powers on it to protect the faithful from harm. It is said that Topaz will change colour in the presence of poisoned food or drink, it is also supposed to cure several physical ailments such as asthma and insomnia. Turquoise is a light blue opaque stone with hues from sky blue to a grey green. In many cases turquoise has veins or blotches running through it. These veins can be black brown or light grey in colour and is dependent upon their origin. Lapis Lazuli is a dark blue colour, which can have flecks of pyrites as inclusions that sparkle in the light. Its marble like finish and beautiful deep blue finish make it a very desirable stone. Turquoise has a Mohs rating of 6 meaning it is not one of the hardest stones. Like the Turquoise, Lapis Lazuli is a moderately hard stone between 5 & 6 on the Mohs scale. Turquoise has long been believed to give its wearer material well being bringing good fortune to its wearer. By wearing turquoise you are supposed to be protected from falling into poverty. Turquoise was also worn in the past on turbans, as it was believed to ward off the evil eye. 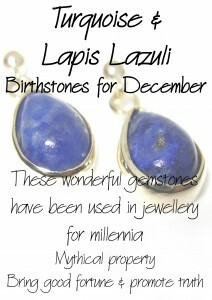 Lapis Lazuli is supposed to promote harmony in relationships allowing the wearer to express his or her opinion openly. Lapis can be known as the stone of friendship and truth.